Let’s you experiment life in your own way and pulls you up when you fall. Let’s you get angry on him and loves you more after that. Let’s you see things your own way and then gives his view point. Father’s Day is a day of appreciation for what fathers do in their children’s lives. Fathers often go unrecognized and so this day was a perfect time for our Grade V Wittians to show how much they care and respect the way their fathers have stepped into the role of being active co-parent. This day was celebrated with great zeal and enthusiasm by Grade V students of Witty International School, Pawan Baug. 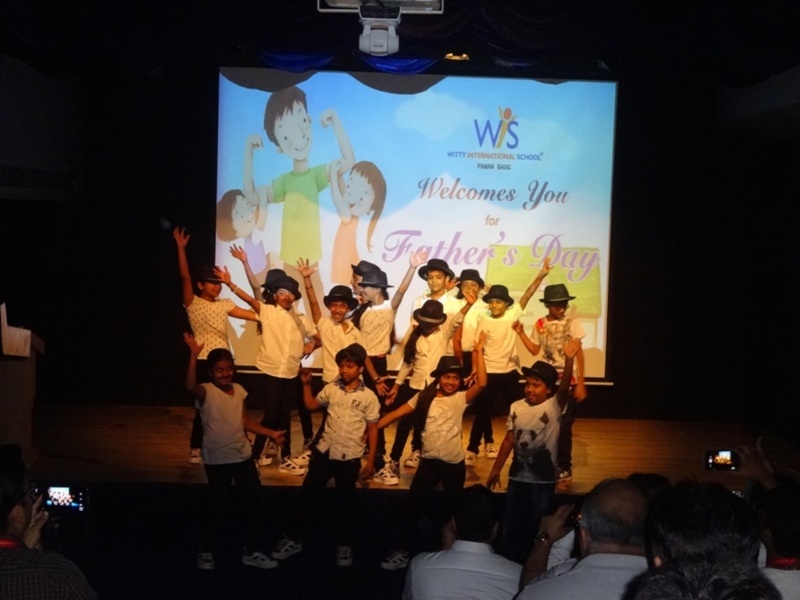 Various ways were adopted by students to appreciate their fathers and make them feel special. The event took flight by a welcome speech and a welcome dance. 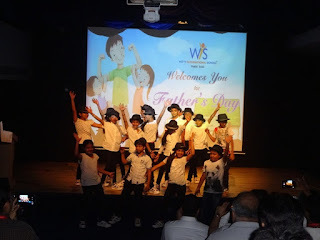 Students gracefully performed to welcome their group of Witty fathers. 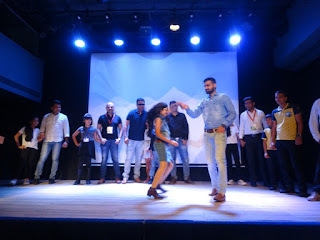 To proceed with this event, students were expected to choose any one of the following categories like Whistle your tune, Once upon a Poem, Mimicry, Sharing the most memorable moment, Match your steps with ‘Pa’ on the ramp and Showcase your talent. All of us were amazed to see the team of father and a child sharing the stage together. The hearts of the Wittians were filled with love which was reflecting on through their smiles. Students were excited to see their fathers along with them as they are generally accompanied by mothers in school for various things. Various games which made the event more interesting were enjoyed by the pair of a father and the child. The day ended well with smiles on father’s faces while being felicitated by students and vote of thanks saluting all the wonderful fathers appreciating them for dedicating some time out of their busy schedule.